HE Ms Melba Pría is concurrently accredited to Bangladesh, the Maldives, Nepal and Sri Lanka. She has graduated in Sociology and International Relations from the National Autonomous University of Mexico, and has two Master’s degrees on Strategic Planning and Public Policy, and International Studies from Harvard University, and the Monterrey Institute of Technology and Higher Education. She was Ambassador to Indonesia from November 2007 to April 2015, and has worked in the Mexican Embassy in Israel. 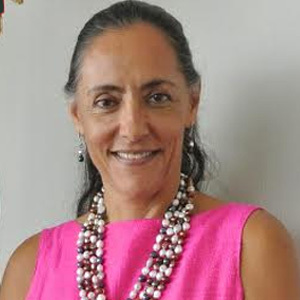 At the Mexican Ministry of Foreign Affairs, she has been the Head of Liaison with Civil Society, Director General for Mexican Communities Abroad, Director General for State and Federal Liaison, and Advisor to the Minister of Foreign Affairs.